The Maricopa Community College’s Governing Board yesterday voted to appoint Dr. Maria Harper-Marinick as Chancellor of one of the largest community college systems in the nation. Harper-Marinick becomes the first female and first Latina ever appointed Chancellor to a higher education institution in Arizona. With a career spanning nearly 25 years at Maricopa Community Colleges, Harper-Marinick has served in several top-level posts, including Executive Vice Chancellor and Provost, and Interim Chancellor. Taking the reins from the now retired Chancellor Rufus Glasper, she will oversee system-wide operations, which serve 200,000 students and nearly 10,000 faculty and staff members across 10 colleges (Chandler-Gilbert, Estrella Mountain, GateWay, Glendale, Mesa, Paradise Valley, Phoenix, Rio Salado, Scottsdale, and South Mountain), a Corporate College, two skills centers (Maricopa Skill Center, Southwest Skill Center) and several satellite campuses and business/industry, technical and customized training institutes. In addition, as Chancellor, Harper-Marinick sets the vision for the higher educational institution’s strategic plan, guides policy development, and oversees initiatives and outcomes related to workforce, economic and community development; civic and global engagement; and increasing student success. The appointment of Harper-Marinick, a native of the Dominican Republic, caps off an extensive search conducted by a specially-appointed committee. The Search Committee, co-chaired by Arizona State University President Michael Crow and Maricopa Community Colleges Faculty Association President Salina Bednarek, considered a broad pool of candidates for the Chancellor position. Widely known in education circles throughout Arizona, Harper-Marinick has helped shape the face of community college education through her involvement with Expect More Arizona, the Arizona Minority Education Policy Analysis Center, and Arizona Business and Education Coalition. 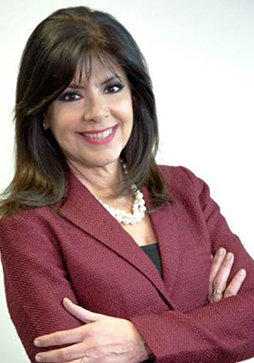 As well, she has been an active member of the Morrison Institute’s Latino Public Policy Center Advisory Board and the Morrison CTE Advisory Board, which is committed to enhancing career technical education. She has also been involved with the Phoenix Thriving Together Leadership Council, and The Global Pathways Institute. No stranger on the national education stage, Harper-Marinick has been tapped to serve on several education boards and councils, including being appointed to the Advisory Committee on Student Financial Assistance by the U.S. Secretary of Education, and the National Community College Hispanic Council. She has also been a vocal participant on the National Advisory Board for the Center for Community College Student Engagement, Educational Testing Service’s National Community College Advisory Council, the Western Alliance of Community College Academic Leaders, the American Association of Community Colleges, the League for Innovation in the Community College, and the Commission on Diversity, Inclusion, and Equity of the American Association of Community Colleges. Harper-Marinick came to Arizona State University as a Fulbright Scholar in 1982 from the Dominican Republic, earning a Master of Education in Instructional Media, as well as a Ph.D. in Educational Technology. She also earned a Licentiate in School Administration and Pedagogy from Universidad Nacional Pedro Henriquez Urena in the Dominican Republic. Among the largest community college systems in the nation, Maricopa Community Colleges serve 200,000 students enrolled in credit and non-credit courses annually. The community college system is also the largest provider of transfer students to Arizona’s public universities, comprising approximately 30 percent of all bachelor’s degree completers. The college system added $7.3 billion in direct economic impact to Arizona’s economy in 2013-14, according to a research report released in 2015 from Economic Modeling Specialists International (EMSI). The report also revealed that for every dollar contributed by taxpayers to the Maricopa Community Colleges, $4 in benefits is returned to taxpayers. Additionally, the report uncovered that for every dollar that a student spends on a Maricopa Community College education, that student gets back $4.20 in higher future income. The system includes 10 community colleges (Chandler-Gilbert, Estrella Mountain, GateWay, Glendale, Mesa, Paradise Valley, Phoenix, Rio Salado, Scottsdale, and South Mountain), a Corporate College, two skills centers (Maricopa Skill Center, Southwest Skill Center), Maricopa Corporate College, and several satellite campuses and business/industry, technical and customized training institutes. Eight Maricopa Community Colleges were named among the Aspen Institute’s top 150 community colleges in the United States. For more information, visit www.maricopa.edu. Labels: LifeAtRio, LiveAtRio, Maricopa County Community College District, MCCCD, RioAdvisors, RioCommunity, RioEmployee, RioGrad, RioLearn, RioLocal, RioLounge, RioNews, RioStudents, RioStudents.